When you find yourself in need of a new outfit, whether it be for the workplace or a casual night with friends, thrifting is an excellent way to save a buck and be eco-conscious. With a few higher-end, quality accessories to work around, you can create a well rounded wardrobe with your thrifty finds, and once you know where to go and how to spot a diamond in a rough, you'll find yourself in a sea of apparel possibilities. We went to a few of our favorite spots in Fayetteville, AR and assembled some business casual outfits that display just how handy and advantageous thrifting can be. 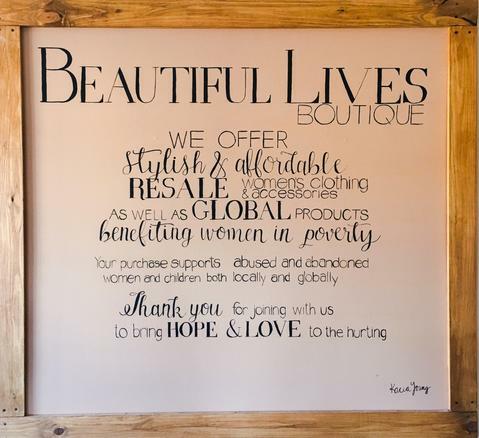 It's always a delight visiting Beautiful Lives Boutique because the store is beautifully organized, the merchandise is chic and affordable, even on the strictest budget, and the staff is incredibly kind and helpful. 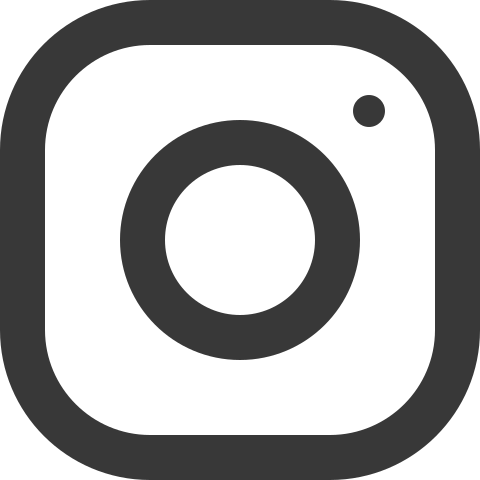 Its is a nonprofit business whose proceeds are used to help women and children locally and globally. 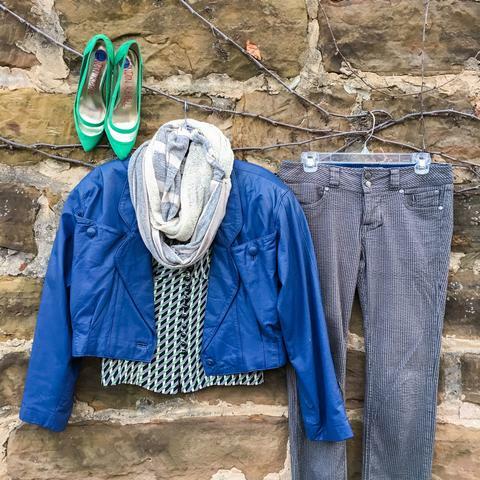 We instantly fell in love with this teal, velvet blazer and knew we wanted to base the rest of the outfit around it. The studded, flowy tank provides comfort and edge, while the skinny jeans are sophisticated and sleek. Pair them with a fun Regenerous Designs headband, and you've got a an appropriate look for both work and a night out. 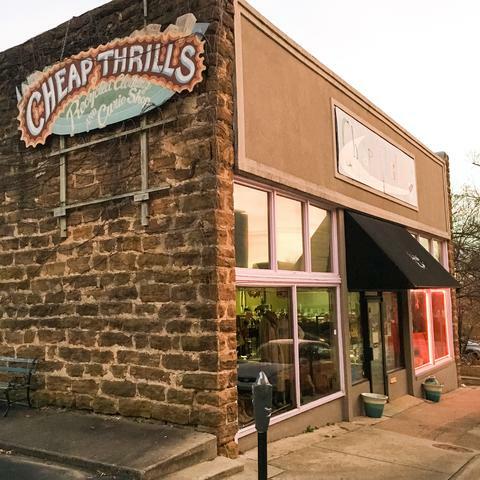 Cheap Thrills is a super fun destination because there are so many funky, vintage, one-of-a-kind items waiting to be discovered. The goodies and friendly faces will certainly brighten your day. This look is so aesthetically appealing with its combination of patterns, colors and a cozy Regenerous Designs scarf. Each piece is uniquely adorable, and when worn together, this ensemble is attractive with an offbeat twist. Talk about achieving the rocker chic look! 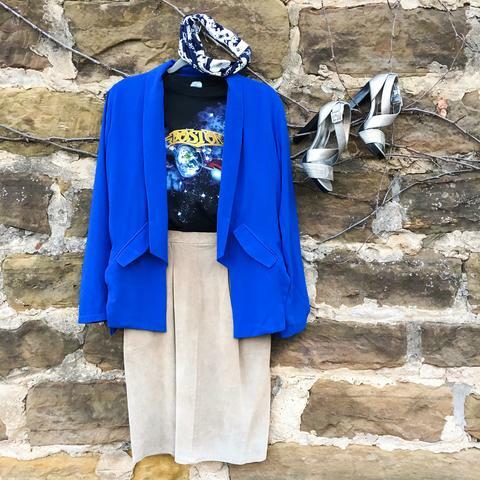 This graphic tee looks marvelous with a bright blazer, suede skirt, and bold Regenerous Designs headband. 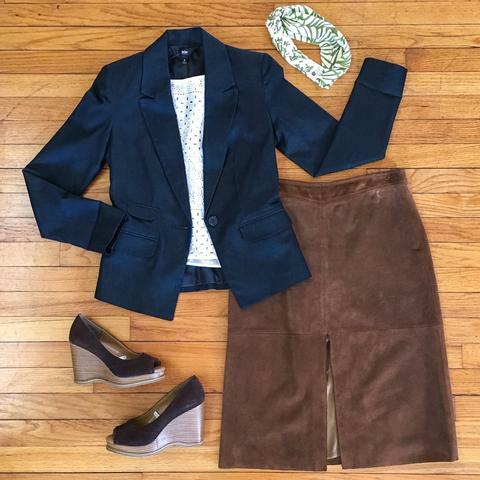 Sport this outfit at work then for drinks at the bar. 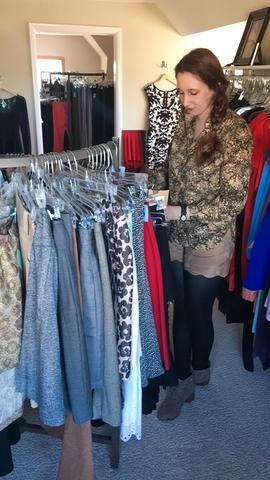 Cheers to you and your future thrifty finds!